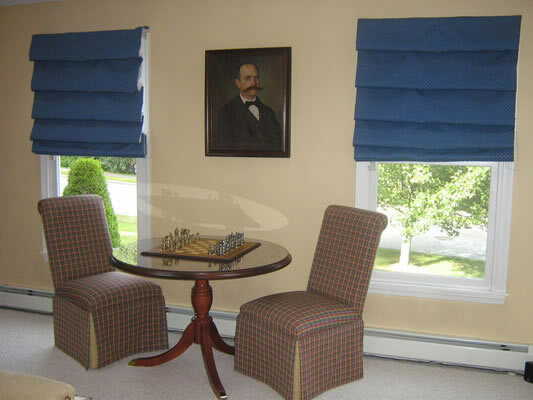 We offer a shop-at-home service where our clients, in the Greater Boston community, can see for themselves how the fabric will "live" in their home. 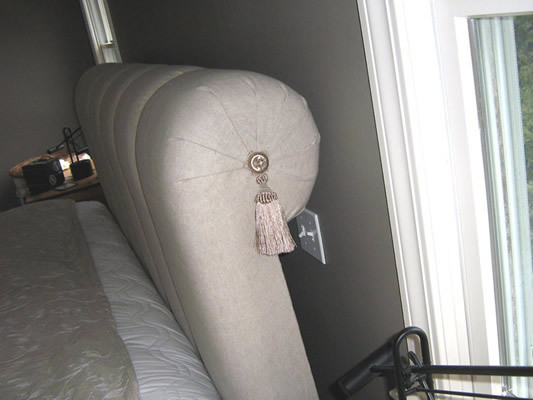 Our business offers custom upholstery, slipcovers, cornices and headboards. Custom means that we refabricate or fabricate from scratch according to our client's wishes. Quality furniture is built to last and should be passed on to future generations. We offer fabric selections from companies such as Andrew Dutton, Barrow Industries, Burch Fabrics, Charlotte Fabrics, Douglas Industries, Greenhouse Fabrics, Kast Fabrics, R.M. Coco and Robert Allen Fabrics. 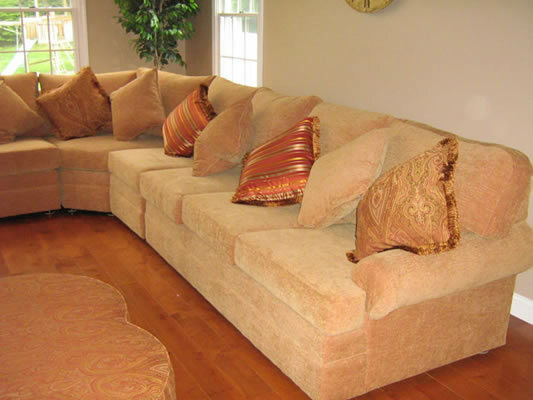 We offer shop-at-home service where our clients can see for themselves how the fabric will "live" in their home. I cannot believe how you matched the backs and the inside seats with limited fabric! The sewing aficionados among us are in awe! Every piece of furniture that we work on is important to us. A lot of time and consideration goes into our workmanship. Whether the piece is an antique or modern, designed from scratch or fitted to order, we take a great deal of pride in our work. Our clients are important to us. When we begin to do work for you, it isn't just a job. We form a relationship with our client that we hope will last a lifetime. In fact, we have multiple clients that have referred us not only to their friends, but to their children. We have multi-generational relationships with clients.